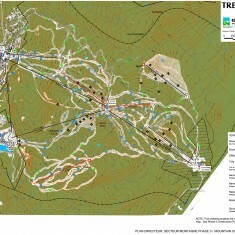 Mont Tremblant | Mont Tremblant | Ecosign Mountain Resort Planners Ltd.
Ecosign was brought in to Mont Tremblant prior to Intrawest purchasing the area in 1991. 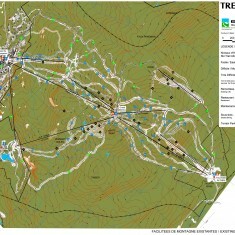 After a preliminary review, Ecosign concurred with the Intrawest decision to purchase the area and immediately set about preparing plans with Hugh Smythe, Roger McCarthy, and Gary Davies for the complete overhaul and renovation of the Mont Tremblant Resort. 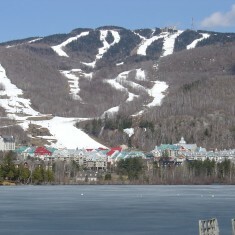 The challenges at Mont Tremblant included a lift staging area that was located too high above the village elevation, a poor connection between the parking and the lift staging area (with low capacity and uncomfortable yellow school buses), old, slow lifts, an outdated snowmaking plant, narrow but straight ski trails and a general lack of skier service facilities such as rentals, retail, and food and beverage facilities. 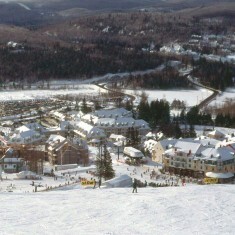 Innovative design solutions included: changing most lifts to high-speed, detachable grip lifts; installing top to bottom lifts on both sides of the mountain including a heated gondola on the west side of the area; beginner and children areas; and a first in North America – a cabriolet lift from the parking lots up to the skier staging area at the top of the new village to provide a seamless connection between the new village and the base of the ski area. 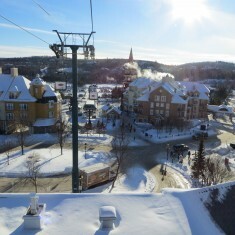 Ecosign was also largely responsible for discovering and recognizing the tremendous potential of the South Bowl area and the development of the Versant Soleil (Sun Face) at Mont Tremblant. 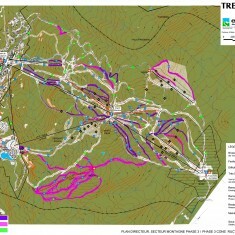 This has brought a totally new perspective and dimension to skiing at Mont Tremblant.